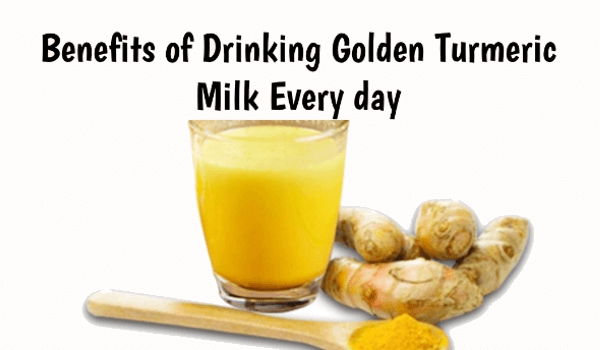 Amazing Benefits of Drinking Golden Turmeric Milk Every Day: Benefits of turmeric milk at night? As we all know turmeric plays a vital role in our daily life activities, whether it’s for beauty products, delicious dishes or any health issues. Turmeric is one of the most appropriate product one major reasons for using turmeric is it has the power of fostering the immune system of one’s body. In earlier times, turmeric is considered as the magical component as it has a power of doing miracles. Such as increasing and improving the memory, protecting against heart diseases, cure against cancer turmeric is mainly consist of Anti-fungal, Anti-bacterial and Anti-viral properties. In other words, turmeric milk which is also known as golden milk provide us various health benefits, it fights off infections, diseases and contributed in living a healthy life. Adding other ingredients such as cinnamon, ginger makes it more effective, a beverage which helps in maintaining the sugar level helps in reducing the risk of cancer chronic indigestion which is also known as dyspepsia means pain in your stomach can also be prevented by this golden milk. Our Indian kitchen is incomplete without turmeric. There are main reasons behind the use of turmeric as main ingredient dishes. Firstly, it is an anti-oxidant which is the main requirement in today’s busy and rush life. 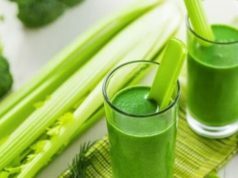 Secondly, it helps in increasing the function of metabolism in the body which will result in weight loss and the main problem that is been common now in all stages of life and among all ages of group is depression as obesity and depression in two faces on coin, which results in hormonal imbalance so, turmeric is best in fighting with depression and relax the body. Turmeric is used in making Ayurvedic medicines or we can say as the best beauty product it helps in decreasing the wrinkles and gives you the glowing and wrinkle free skin. If you are not satisfied with the above benefits of turmeric milk than you should start drinking it yourself and can experience the golden benefits of golden milk. Turmeric is a good tonic for getting a healthy liver. The Liver has a major role in our body and consuming turmeric milk can repair the damaged liver tissues and help in detoxification of your body. Turmeric has a powerful medicinal quality and has bioactive components that are beneficial for your liver. Turmeric contains anti-bacterial and anti-inflammatory properties that are useful for blood impurities. Drinking turmeric milk on the regular basis can purify your blood which result in healthy and beautiful skin. Blood impurities can cause pimples, acne and other skin disorders so if you want an overall solution that suits your health and beauty then start drinking turmeric milk as soon as possible. Turmeric milk can reduce your digestive related issues like feeling bloated after a meal, discomfort in the upper abdomen, lack of appetite etc. you can add some ginger in your turmeric milk that will enhance the quality of turmeric milk. Turmeric and ginger in 1 glass of milk if a perfect combination for digestion and it reduces abdomen inflammation as well. It has been found in several studies that turmeric has a special factor named curcumin, which is helpful for clogged blood vessels and it cleanses it up, so people who were drinking turmeric or using turmeric in their meal have a healthy heart than others. One can add a pinch of cinnamon powder in turmeric milk, cinnamon also supports cardiac health and both ingredients will increase the life and functioning of your heart. 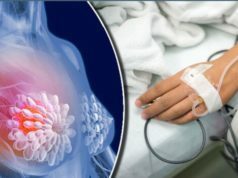 Cancer is one of the rapidly growing diseases that are triggering thousands of people every year and many of them just die. Curcumin is the powerful component of the turmeric that kills the active cancerous cells and controls it from developing. Though advanced researchers are still in queue but drinking turmeric milk is only leads advantages. It has zero side effects on your body. As we said before that turmeric has anti-bacterial and healing properties that provoke your immune system and prevents several diseases like flu, cold and cough. It also reduces the symptoms of cold and cough. Add some ginger, black pepper and cinnamon in your turmeric milk and see the miraculous results. Milk is a good source of calcium and other minerals, so you always heard that drink milk daily for your bones. But some people do not like simple milk so they add artificial powders or supplements just for taste. If you add some turmeric instead of those powders then it will have much benefit than others. Add all the ingredients in a pan except honey, let them boil for 5 to 10 minutes, sieve into a cup and add honey as described and drink slowly and warm. Last but not the least do not drink turmeric milk empty stomach as it can produce acid reflux, and if you want to experience the best result drink it in the night before sleeping. Turmeric milk is the best remedy for your overall health. Follow all the instructions step by step and then you will be able to get its magical benefits. You can store turmeric milk into the fridge for 2 to 3 days but we will suggest that always drink this fresh. 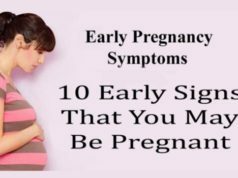 We are much concern for your health and want you to see always happy and healthy that’s why we always discover these simple and effective remedies for you. We hope that this article will surely help you and you can get a final cure for your troubles. Meet you again with some new remedies and new information. Next articleEat 3 Dates Daily for a Month Surprising Things Will Happen!